Fire up the grill, get those coals glowing. gather around the Barbie. It is a favorite summer activity for many cultures — grilling with friends and family! There are endless cookbooks and even numerous TV competitions dedicated to this method of cooking. But the TV hosts don’t mention that many studies have discovered cancer-causing compounds can be created when grilling those foods.I certainly do not want to throw water on a favorite social past time and I don’t plan to! Instead, I have for you a few small measures you can take to counteract what science has been telling us about the bad effects of grilling our foods. Come take a look and get on with hosting your best barbecue — the healthy way! Grilling and pan frying can cause the harmful cancer-causing chemicals heterocyclic amines (HCAs) and polycyclic aromatic hydrocarbons (PAHs) to form when meats like beef, pork, fish or poultry are cooked using high-temperature methods. These compounds are the same as those found in cigarette smoke. And we already know how unhealthy that is. The formation of HCAs and PAHs varies by meat type, cooking method, and how long the food has been grilled or cooked. Meats cooked at high temperatures, especially above 300ºF (as in grilling or pan frying), or that are cooked for a long time tend to form more HCAs. 1. Give it a soak. Add spices to your dishes such as turmeric, garlic and sage when creating a marinade. Fresh herbs like rosemary and parsley are strong counterparts. Yogurt and olive oil make great bases for effective marinades as well as wine and especially beer and stout ale. Fresh fruit such as grapes, cherries, prunes, blackberries and blueberries are great antioxidants to add as well. Don’t miss this: Tap here for a great tip on how to use that antioxidant, inflammation-fighting spice, turmeric, the right way to get all those amazing health benefits! Some studies have shown 400 I.U. from a vitamin E capsule rubbed in the meat can counteract HCA and PHA formation. 3. Turn down the flame. Grilling low and slow is the best method to create lower levels of char. Turn the meat over often to avoid too much charring. 5. Include lots of fruits and vegetables! Those wonderful colorful veggies offer a free pass. There is no HCA and PHA formation when grilling vegetables. Serving some fruits like apples or pineapple alongside the grilled items can counterbalance the harmful compounds, too. Don’t miss this: You should try some of these healthy vegetable recipes. Skinless chicken creates 50 percent less risk of HCA and PHA formation. Fish and seafood tend to form much lower levels of cancerous compounds as well.7. What you drink can help, too.Go ahead and tip your glass for a few suds as stout ale has been shown to be a most effective neutralizer of HCAs in red meat. Green tea is the non-alcoholic beverage of choice with grilled items as well. They both make great marinades as well for taste and to reduce the dangerous compounds from forming.Don’t miss this: Lots of ideas for hundreds of healthy drink ideas at your fingertips! Avoid self-lighting charcoal and lighter fluid as they contain harmful petroleum products which can be absorbed into what you are grilling. Don’t miss this: Follow my Pinterest board completely dedicated to healthy grilling! 1. Mini Lantern Set: Can’t have a party without festive lighting. These strands are adorable and great for an outdoor barbecue to liven things up! 2. Silicone Grill Brush: Gotta use one of these to baste those tasty and healthy marinades on your foods! 3. Quilted Hammock: Your friends and family will love you for setting up a comfortable hammock like this one. It screams summer outdoors and fun times! 4. Natural Charcoal: No chemicals here to add toxicity to your beautiful healthy meals! 5. Drink Dispenser: Let everyone serve themselves with a great drink dispenser for that tasty green tea sangria (recipe below!). 6. Grill pan: Throw those critical veggies in here to keep it easy and not let them fall through the grates! Place tea bags in pitcher or container that can tolerate almost boiling water. Boil the water just under the boil and pour over tea bags to steep for 5 – 10 minutes. While tea is steeping, slice the apple and rinse berries and cherry pieces. Remove tea bags after the tea is reached desired strength. Add fruit and maple syrup or honey, if using. Stir and allow to cool and for flavors to mesh. Serve over ice and garnish with sprigs of mint. Combine yogurt with turmeric, cumin, garlic, oregano, rosemary, lemon juice and lemon peel. Stir well to make the marinade. Set aside half of the mixture for sauce and refrigerate in a glass container. Cover chicken pieces well with remaining marinade and refrigerate for at least a few hours but overnight is better. Grill chicken until internal temperature reaches 165 degrees. Cover and let it rest for five minutes. Serve with extra set-aside marinade as dipping sauce. Serve with steamed rice of choice and some grilled tomatoes and zucchini. FOR EVEN MORE ON THE TOPIC . . .
Brush up on which healthy cooking oils you should use in your kitchen and on the grill. Here is why I choose maple syrup as a sweetener like I do in the Green Tea Sangria above. Jump in! 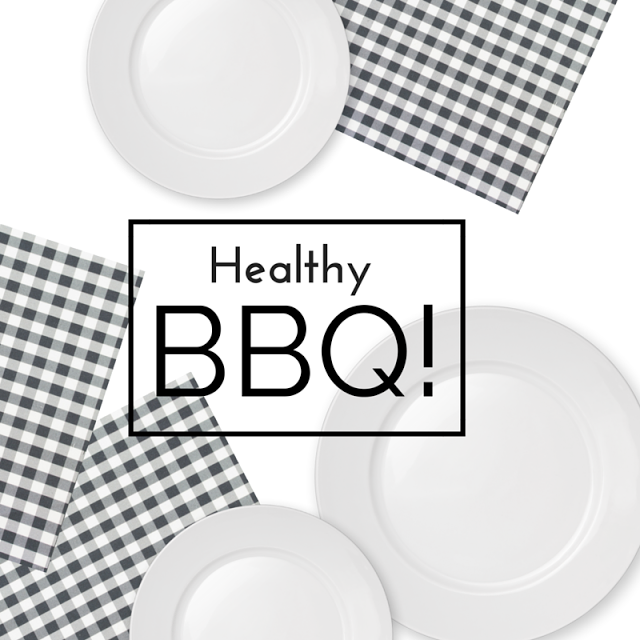 Do you have a favorite healthy grilling recipe to share? Please do and provide a link in the comments! Such valuable tips and resources! 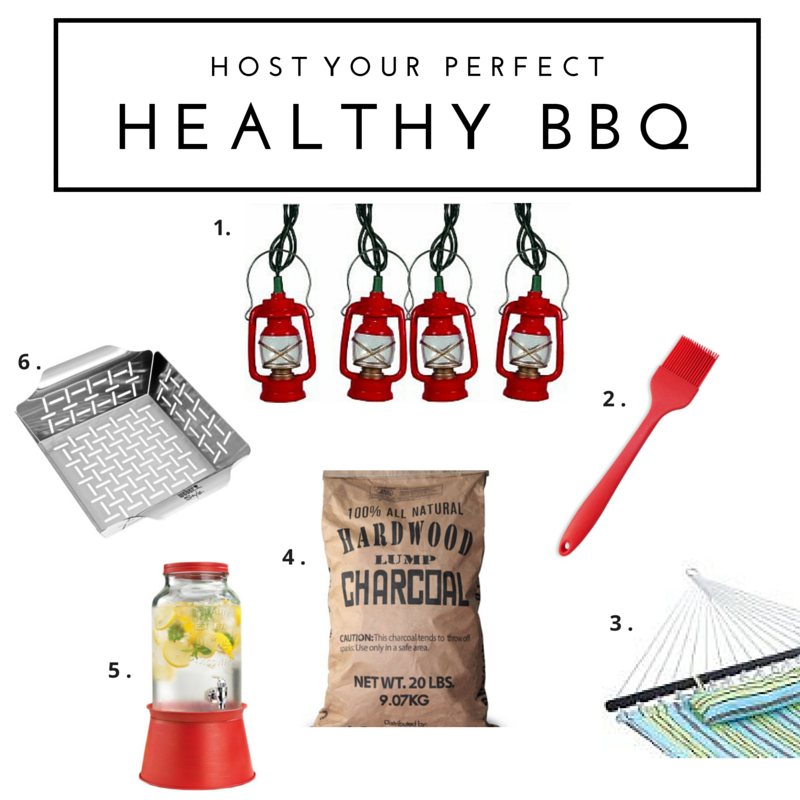 Grilling season is almost here so I am delighted that you shared these easy steps to help us prevent cancer-causing, toxic compounds that can form on our food when we grill as well as healthy recipes and useful grilling tools — at the Healthy Happy Green & Natural Party. I'm Pinning and sharing this! Wonderful! Thanks, Deborah, for sharing. Happy to hear you found the information helpful enough to send to others. These are such awesome and interesting tips! I never knew about rubbing vitamin E on meat, very cool! Thanks for sharing and linking up! Super! You learned a new trick! Thanks for coming by, Annmarie! These are great tips, and that green tea sangria sounds amazing! LOVE it and I think I will go make some right now! Always good to see you here, Nicole! It is a winner and helps counteract those harmful chemicals that form on grilled food! Thanks so much for coming by! Nice post! It's very for everybody to have only those stuff which is healthy for you. Me too is also really foodie and like having different foods but not cost of my skin and health. As it's good to my health I would definitely try this. Thank you for sharing with us. Great that you found the post helpful for your pursuit to living a healthy lifestyle, Mellisa. Thanks for this good information. Yet another benefit of being vegetarian. 🙂 Thanks for sharing at the Blogger's Pit Stop. Good point! It does simplify some things, Debbie! Thanks for taking the time to comment! 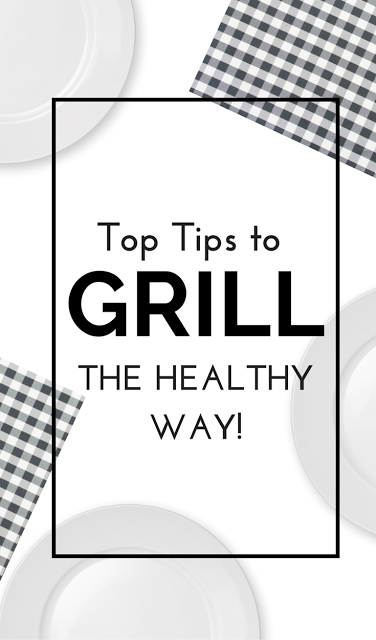 Glad you learned something here, Launna, and for those that do grill, these easy steps and tips can do a whole lot to greatly reduce the harm! Happy to see you here, Launna!